Recently, Mrs. Kayla Hostetler was named to the Honor Court for the District Teacher of the Year. 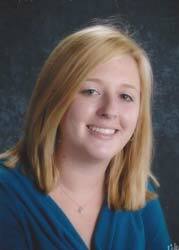 Kayla (Hyatt) Hostetler has been teaching at Ridge Spring-Monetta High School for the past four years. Mrs. Hostetler says, “Ridge Spring-Monetta High School has been my home away from home for the past four years. The students have shown me how to be a teacher and have taught me so much about teaching. The faculty and staff at RS-M have guided and mentored me through my first few years of teaching.” For more about Mrs. Hostetler go to edgefieldadvertiser.com for story. Mrs. Hostetler received a Bachelor of Arts in Secondary English Education and English Literature from the University of Pittsburgh at Johnstown. Mrs. Hostetler also received her Master of Education from Walden University. She is currently attending the University of South Carolina as a PhD student in language and literacy. Mrs. Hostetler has accomplished many things during her four years at RS-M High School. She has organized and presently coaches the school’s soccer team. She sponsors Poetry Out Loud, which also includes a “coffee house” for the participants and audience. She organized and sponsors the National English Honor Society Chapter at RS-M. She has taken students on an international field trip to London, England, and this June will take students on another field trip to Paris, Switzerland, and Germany. 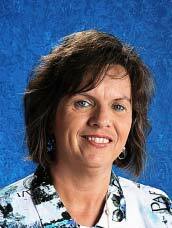 Mrs. Hostetler also likes to support her students by attending many RS-M sporting events and other school activities. Mrs. Hostetler says, “My goal as an educator is to make a positive impact and difference in my students’ lives.” She stays after school to help students with tutoring and filling out college applications. She listens to students’ concerns and works with them on anything else they might need. Her room is always filled with students during her lunch and planning periods. Mrs. Hostetler works hard to relate what she teaches to her students’ lives by incorporating music and their other interests into her lessons. When asked what she thinks is the most important aspect about teaching, Mrs. Hostetler replied, “Teaching is all about the students and the relationships you build with them. Getting to know your students and their interests goes a long way.” The students and faculty at RS-M High School would like to congratulate Mrs. Hostetler and wish her luck at being named Aiken County School District’s Teacher of the Year. Mrs. Retta Havird has been named to the Honor Court for the Aiken County School District’s Teacher of the Year. Mrs. Havird has been teaching kindergarten at Ridge Spring-Monetta Elementary/Middle School for the past fifteen years. She has also taught Child Development, first, and fourth grades in Edgefield County for thirteen years prior to coming to Ridge Spring. Mrs. Havird lives in Ridge Spring with her husband, Marty, and two children, Haley and Morgan. She is the daughter of Mrs. Rafetta Padgett Buzhardt and the late Harvey Padgett of Batesburg. Mrs. Havird has a Bachelor of Arts degree in Elementary Education from the University of South Carolina at Aiken and a Masters degree in Early Childhood Education from the University of South Carolina. Mrs. Havird’s accomplishments in education include: Model Classroom Teacher, Ridge Spring-Monetta Elementary/Middle School (2009-12), Distinguished Teacher of Reading, Ridge Spring-Monetta Elementary/Middle (2004), Teacher of the Year, Ridge Spring-Monetta Elementary/Middle School (2002), Teacher of the Year, Johnston Elementary School, (1996, 1988), Outstanding Young Educator, Johnston Elementary School, (1999, 1988). One Response to "RSM Elementary/Middle Schools’ TOYs are in Honor Court"